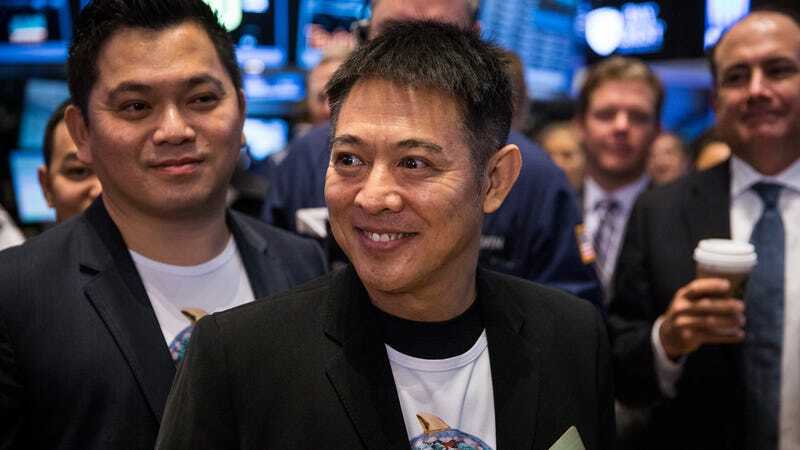 Recently, photos have been circulating on Twitter that appear to show Jet Li in poor health, prompting some fans to wonder if he’s alright and some websites to post the same kind of breathless news story that always comes out whenever a famous person steps out of the spotlight for a bit and has the unmitigated gall to age. The Washington Post got in touch with Li’s manager, though, and he is insistent that the actor is actually doing just fine. “He has hyperthyroidism,” the manager, Steven Chasman, explains, adding that Li has “been dealing with it for almost 10 years.” He says the condition is “nothing life-threatening” and reiterates that Li is “dealing with it,” further noting that the images going around are just bad photos of him. Hyperthyroidism can cause fatigue and weight loss, and Li also happens to be a 55-year-old man who has suffered from leg and spinal injuries after decades of performing his own stunts, so it seems fair that he could look a little old and tired from time to time. That being said, it’s Chasman’s job to deflect concerns like this, so he’s both the best source for this kind of information and the one with the most incentive to lie, so who knows what’s really going on.